Start searching for your next little puppy and you’ll soon discover there are both good and bad places offering puppies for sale. So before we dive in and examine the good, the not-so-good, and the ugly, let’s first consider why it’s important where you buy a puppy. During the first weeks following a puppy’s birth, the care a little fur-ball receives is extremely critical. It’s during those first weeks that puppies are developing essential skills, learning positive doggy behaviors, and expressing their own personality traits. So prior to going home at eight or twelve weeks old, it is essential for puppies to enjoy positive experiences with adults and children alike. Otherwise, you’ll likely encounter a shy little pup with obnoxious doggy behaviors. 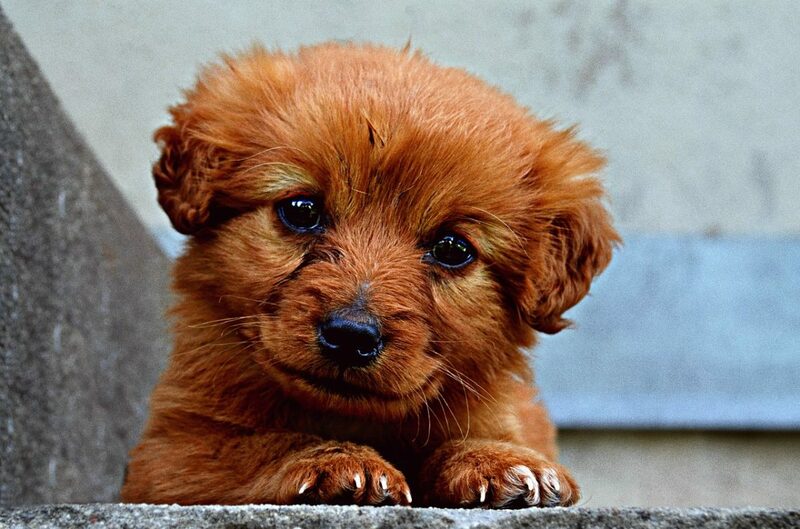 A puppy should be placed in their fur-ever home between eight and twelve weeks old. This way every puppy is given sufficient time to learn positive dog-dog socialization with their mom and litter mates. Yet they will still be young enough to bond deeply with new family members. No matter how much love you pour on your sweet little fur-ball, the care received in the weeks leading up to going home can leave long and lasting results on your new puppy. For this reason and more, it is essential to put careful thought into where to buy a puppy. Places today offering puppies for sale include pet stores, commercial dog breeders, responsible dog breeders, and hobby breeders. Plus, you can browse available puppies for sale either online or search for local breeders in your area. When searching for a new little puppy, take caution when working directly with commercial dog breeders. While some commercial dog breeders are to be respected, others include puppy mills and represent large scale breeding facilities. Conditions within these large scale facilities are often despicable. Breeders confine adult dogs to small spaces and allow for minimal exercise. Plus, puppies and dogs alike experience little positive interaction with humans. Not to mention breeders house female dogs with the primary purpose of producing puppies to generate a profit. Like it or not, that charming little puppy face garnering lots of attention in the pet shop window likely holds an unsavory story. Similar to many commercial dog breeders, pet stores are another place to avoid when looking to buy a puppy. Many pet stores are fueling today’s puppy mill industry as the pets you’ll find inside a pet shop often originated from a puppy mill. By purchasing a puppy from a pet store, not only will you not know your puppy’s background, you’ll also be supporting puppy mills by opening yet another space to sell their mass produced pups. A hobby breeder is one who specializes in either one or only a few select breeds. These breeders typically produce a few litters each year and enjoy minimal profits. Rather than selling to a pet store, hobby breeders will communicate directly with each buyer. Various states have regulations regarding who is considered a hobby breeder and how many puppies are permitted each year. 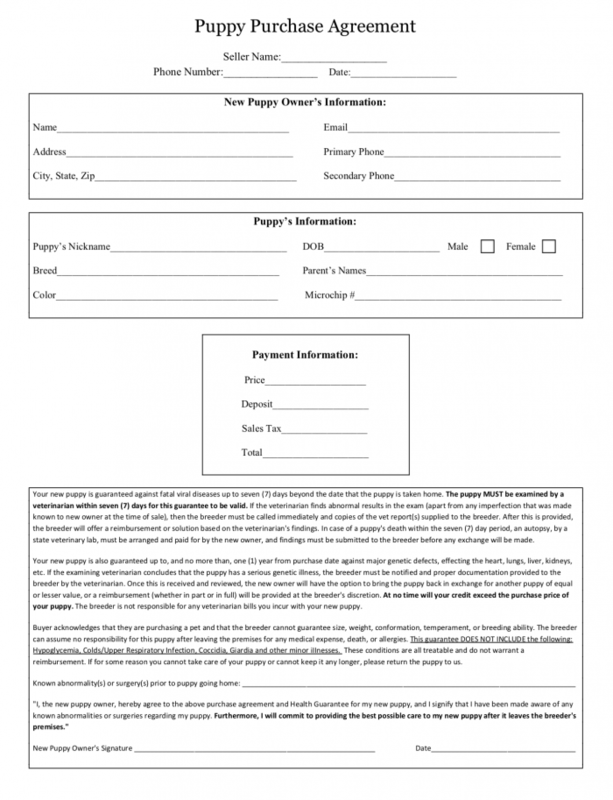 If you are considering purchasing from a hobby breeder, be sure the breeder is up-to-date on any state regulations. While some breeders raise puppies in an attempt to make quick cash, this is not the story for the responsible dog breeder. Instead, responsible dog breeders are individuals of integrity who are careful to follow proper breeding protocol. Profits are sometimes low as these breeders love their dogs and are committed to doing whatever it takes to raise high quality puppies. In addition, responsible breeders are up-to-date on state regulations and will focus either on one or a few select dog breeds. They are knowledgeable about the breed(s) they offer and are ready to answer questions pertaining to their breed. Not to mention, reputable breeders focus on producing happy and healthy little puppies as opposed to commercial breeders where quantity may be valued over quality. Reputable breeders also offer support to customers along the way and often promise a health guarantee with each puppy placed. While puppy health guarantees vary in specs, typically they guarantee a puppy’s health for the first six to twelve months. During these months if illness occurs, buyers can return their puppy and select a new little furry friend. From choosing which puppy is right for each buyer to recommending quality dog food and ongoing puppy care, responsible breeders present a wealth of knowledge and are happy to share their wisdom. Always look for a breeder who is working to succeed long term rather than trying to make quick cash. Some folks prefer to shop local, others enjoy the thousands of options available online. Fortunately, you can find fur-ball treasures either way. It’s your decision where to look when searching for your next four legged friend. If you’re wanting to purchase local, ask a veterinarian or fellow dog owner for recommendations in your area. Alternatively, you could browse dog breeder directories, contact reputable dog clubs, visit local dog shows, scroll through breeder websites, ask for references and recommendations from friends, join Facebook groups, and search online for positive referrals. Sorting between the good and the bad in today’s dog breeding world can soon grow tedious and exhausting. So to aid you in your search for a happy and healthy little puppy, today companies across the United States are stepping up to offer assistance. These companies work with reputable breeders by listing and promoting their puppies on-line. 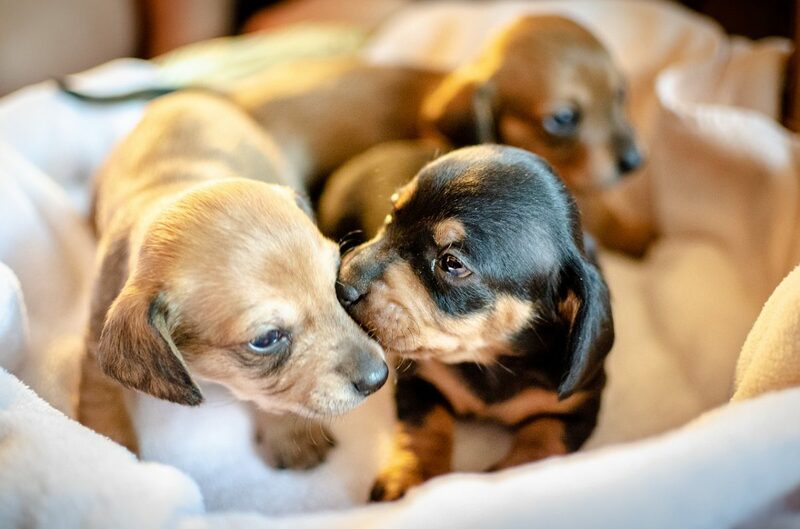 As a result, you can browse hundreds of beautiful puppies right from the comforts of your home. One such company is VIP Puppies. 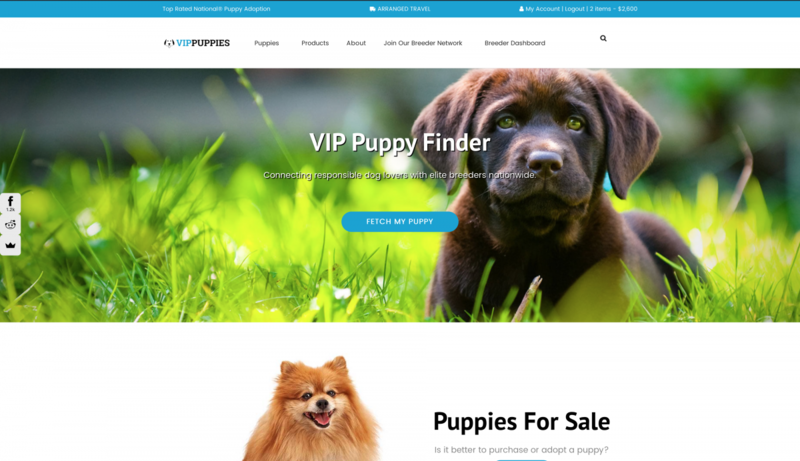 VIP Puppies has teamed up with reputable breeders across the United States to provide beautiful and healthy puppies to fellow dog lovers. You can either browse available puppies for sale or sort through their breeder directory to find a specific dog breeder specializing in your chosen breed. While you are scrolling, look forward to dealing directly with quality dog breeders who are intentional about raising happy and healthy little pups. Additional companies offering puppies for sale on-line include PuppySpot, PuppyFind, Lancaster Puppies and Hoobly. While it is every customer’s responsibility to avoid supporting puppy mills, it is not always easy to sift reputable breeders from dismal puppy mills. However, typically any form of dog retailer is likely to have purchased their little fur-balls from a puppy mill. As a result, no matter how cute a puppy appears, always avoid purchasing pets from markets, pet stores, shopping centers, and fairs. Puppies from such places may not come from parents who are health tested. Behavioral issues are high, socialization is low, and the puppies may even appear sick. Not to mention, because the primary objective for puppy mills is profit, breeders of these pups will cut corners and treat dogs poorly to fuel their continued market. When looking for a reputable breeder, be selective. You’re about to make a large decision which, when done with proper for-thought, is sure to be rewarding. Take your time and consider all of your options. Not every breeder has the puppy’s interests in mind. While many breeders do work hard to produce beautiful and healthy little pups, this is not every breeder’s story. Look for a breeder who has good canine stock, offers a one year health guarantee, and is knowledgeable in the breed(s) he/she raises. In addition, a breeder should always be friendly and ready to answer questions. To find a quality breeder, consider local breeder options, search online, browse dog breed directories, and ask other dog owners for reputable references. Look for a dog breeder who is knowledgeable in the breed(s) he/she offers. You should feel comfortable asking the breeder questions, as well as the breeder should be asking you questions. 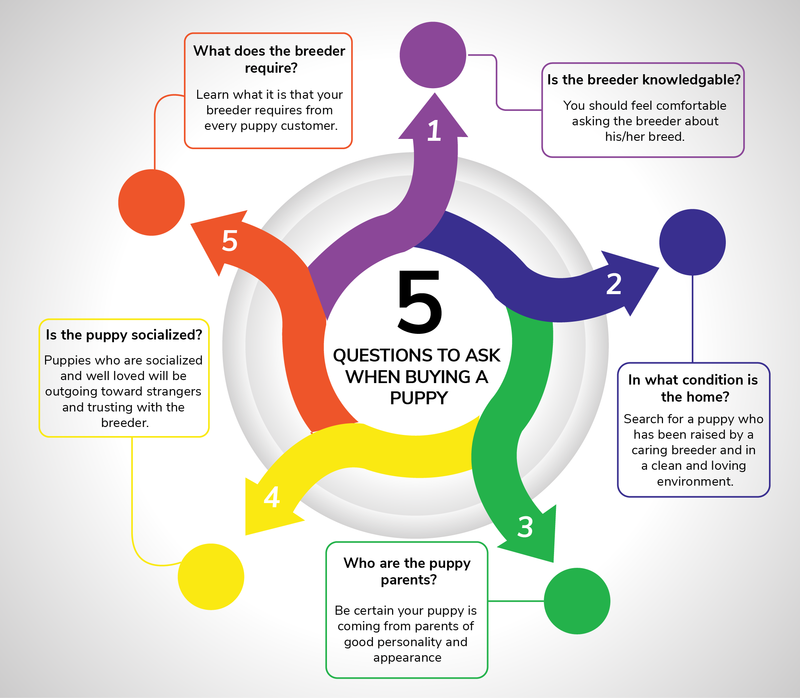 Reputable breeders are concerned about the homes their puppies go to and will ask questions to ensure a buyer is ready for the responsibility accompanying a new little puppy. If possible, visit the puppy’s home before making your final purchase decision. Consider also if there is space for the litter mates to romp and play. Observe if the mom receives adequate room to exercise. Plus, take note if the breeder is providing lots of fresh food and water for each dog mom. How a puppy matures directly correlates with where he/she lives during the first weeks following birth. Hence, search for a puppy who has been raised by a caring breeder and in a clean and loving environment. Who are the puppy parents? If possible, ask to meet your puppy’s parents. From observing parent dogs, you can better gauge what temperament and appearance your puppy will have as he/she matures. Parent dogs should be friendly and well-fed. Lots of love and positive dog-to-human relationships should be provided for each dog mom. Plus, many breeders may encourage active participation in competitions and fieldwork. If distance limits you from being able to visit the breeder and meet your puppy’s parents in person, ask to see photos of both parent dogs. From the photos you receive, observe if both parents look happy and healthy. Are they fit and well exercised? You’ll want to be certain your puppy is coming from parents of good personality and appearance. Again, prior to making your final puppy decision, observe how litter mates interact. Note their connections to mom and how they play together as litter mates. Consider their response to strangers as well as how they behave when the breeder is nearby. Do the puppies ever appear shy, timid, or scared? Well socialized and loved-on puppies will be outgoing with strangers while displaying a trusting relationship with the breeder. Be wary if these behaviors are lacking in any puppy you are considering. What does the breeder require? In addition to asking questions, many reputable breeders will require a signed contract from buyers. For example, here is a puppy contract and health guarantee written together. 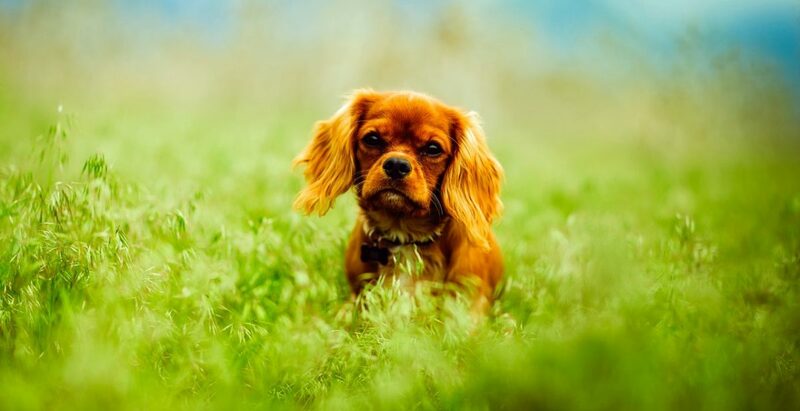 Exact contracts can vary, however, these contracts typically state that if specific conditions are not met in providing care for a puppy, the breeder has the right to reclaim the puppy. 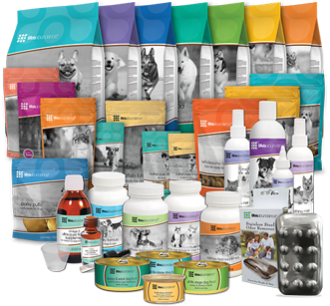 Learn what it is that your breeder requires from every puppy customer. Learn specific strengths and weaknesses associated with your chosen breed. Research genetic diseases prone to surface and discuss with the breeder how he/she is proactively avoiding such illnesses. Be alert to any signs of malnutrition in both your puppy and his/her parents including runny noses, coughing, and skin sores. 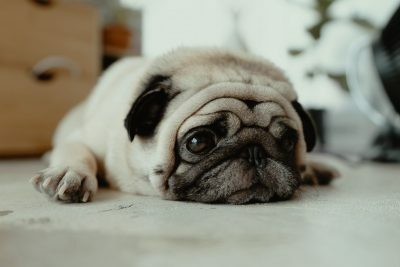 Because a responsible breeder is interested in the care of his puppies, be proactive to connect with your breeder on an ongoing basis. View your breeder as a valuable source of information regarding your specific puppy. Not only is your breeder an expert in the breed you’ve selected, he/she also understands where your puppy is coming from. Remember the breeder knows the parent dogs and is knowledgeable about specific genetic tendencies. Plus, your breeder works with each puppy from birth and understands the importance of laying good foundations during those first weeks after birth. So embrace your dog breeder as a valuable source of information for the well-being of your new little puppy. Once you’ve decided on a specific dog breed, your search begins to find the right litter. While some breeds enjoy popularity and are easy to find, not all breeds are so fortunate. Depending on your breed of choice, you may need to enter your name on a breeder’s waiting list or reserve your puppy in advance. When choosing a favorite little fur-ball from a litter, some buyers prefer to choose a puppy based on looks while others make personality their determining factor. 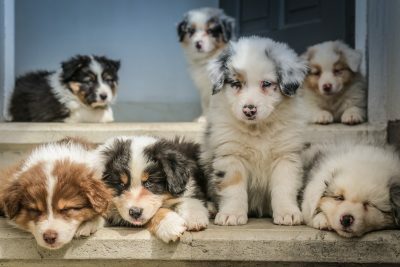 Ask the breeder what his/her pick of the litter is and be alert for any special connections between you and one of the puppies. Is there one specific pup that likes following you around? Perhaps there was a single puppy that ran to greet you when you first stepped into the puppy’s home. Also, prior to browsing through adorable puppy litters, research what to look for in your chosen breed. Some puppies will carry higher price tags based on coat color, specific markings, eye color, or how their ears stand. Discover what is prized in your selected breed so you can make an informed puppy decision. However, an effort to save a dog life, it can be easy to cave and try rescuing a dog from despicable puppy mill conditions. Despite the poor treatment little puppers receive from puppy mills, avoid rescuing dogs from these places. While you may be offering a better life for a single canine, you’re simultaneously opening a new puppy mill space. Plus, you are fueling puppy mill profits while assisting them in continued harmful treatment of dogs. You can search puppies for adoption through websites such as PetFinder.com or Adopt a Pet. Alternatively, you might visit local animal shelters or contact rescue groups to find dogs and puppies for adoption near you. Regardless how good your intentions are, be sure to research the actual conditions of your local rescues and shelters. Animal shelters typically house pets who have been either found along the street or are turned in by their previous owner who is no longer able to provide sufficient care. In contrast, animal rescues are private organizations accepting animals from abusive or homeless situations. 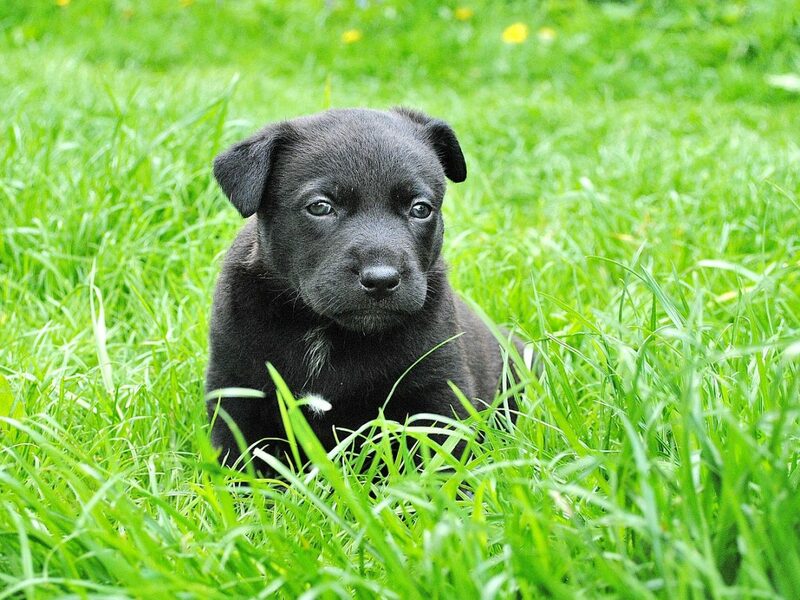 While some rescues and shelters welcome puppies of any mix and combination, other groups are breed specific. So when choosing to adopt, you can browse between either purebred beauties or charming designer mixes. If you like surprises, you might enjoy bringing home a mystery breed as it is sometimes impossible to determine the exact breed of a dog. Either way, when you rescue a dog through adoption, expect lots of adventure filled moments as you discover what’s exactly inside that beautiful coat of fur. Many animal shelters and rescue groups screen their dogs before placing them in homes. As a result, you can often expect a new dog companion to be micro-chipped, spayed/neutered if applicable, and up-to-date (UTD) on shots. Initial costs for adoption are also lower when compared to purchasing a dog. You’ve poured yourself into making the best decision. 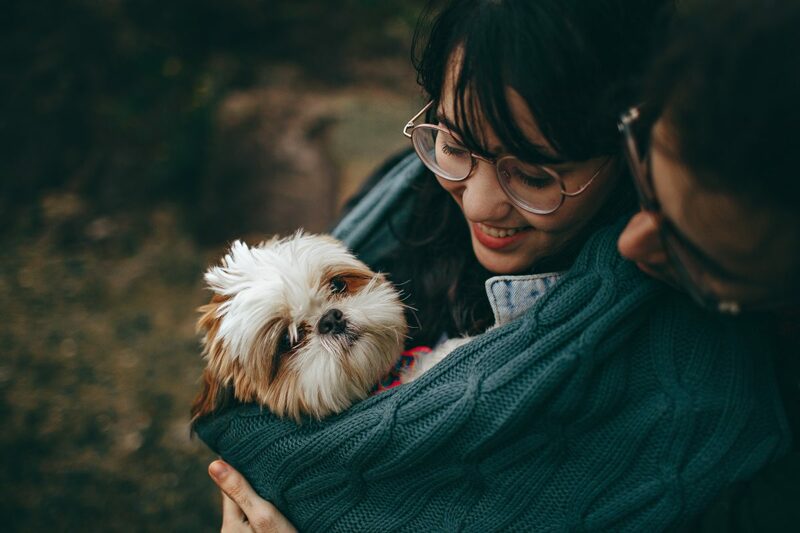 You’ve researched breed strengths and weaknesses, you’ve spoken with reputable breeders, you’ve browsed adorable puppy litters, and you’ve met puppy parents. Finally, you have found your dog or puppy of choice. Still, there’s just a little more left to consider before Fido comes home for the first time. Prior to your puppy’s big homecoming, take time to physically prepare for adding a puppy to your home. Ensure you have adequate puppy or dog food for your specific breed. 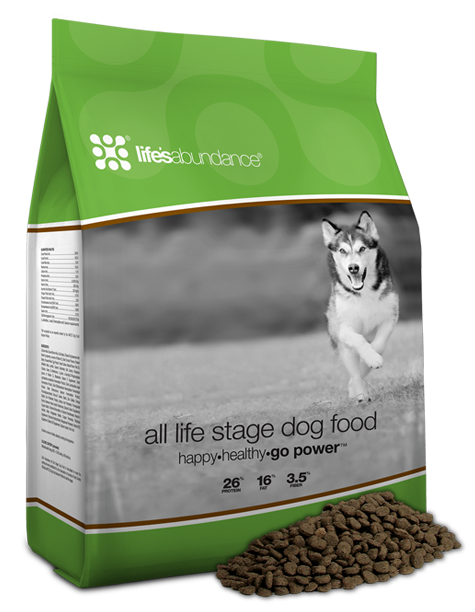 If you are unsure where to begin, consider starting with this All Stage Dog Food, a delicious kibble promoting a healthy dog coat and skin. Alternatively, you could speak with your breeder to learn what your puppy is already eating prior to coming home. In addition to food, secure an adequate size dog crate. A comfortable crate is a great tool for proper house training, as well as provides a safe and cozy space for your little puppy to call home. Collar and tags are an additional essential for a puppy’s well-being. Be sure the collar is of correct size and include a tag listing your puppy’s name and your personal phone number. This way should calamity strike and your cute little Fido wonder to far, it will be easier to find your lost little fur-ball. The journey is never complete when there’s a growing puppy in your life. After your initial research, continue learning all you can as your puppy matures into adulthood. Look for ways to keep your puppy healthy and thriving. Learn what makes your little pup happy, and follow our blog for more doggy tips along the way. Finding your very own canine friend can be tedious. Still, in the end the work is sure to pay off as you enjoy a fun and delightful puppy friend. Perhaps you already have a few dogs and puppies in your life. If so, where are some of the places you’ve found your favorite fur-balls? Let us know in the comments below. Adoption from a Shelter vs Buying from a Breeder: Which is Pro Dog? Great post! Thanks for the clarity on where to buy my next puppy!